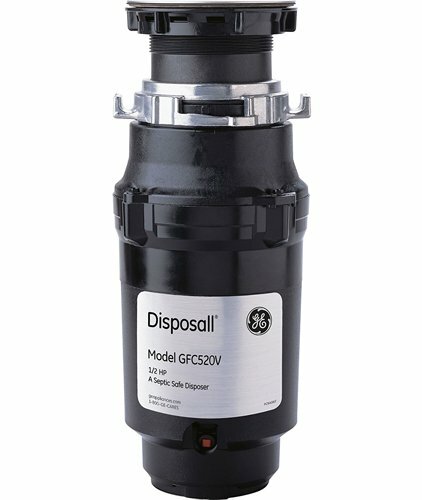 Since a lot of people are looking for the best performing, yet cheap garbage disposal, I’ve decided to put together a list of 9 best cheapest garbage disposals. Here, you can compare different brands, horsepower, rpm, size, noise, etc., within the same budget. 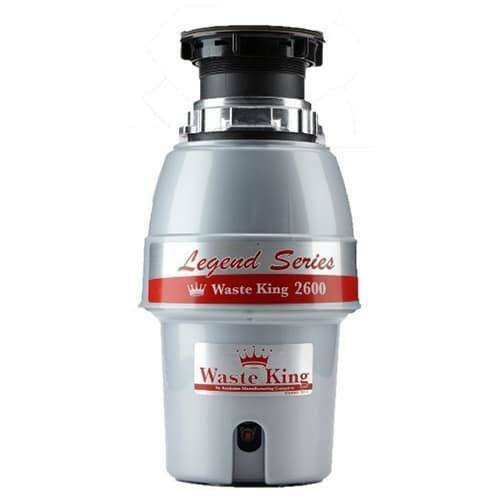 First on our list is Waste King L-2600 Garbage Disposal. The dimensions of the unit are 6.8 x 6.8 x 13.5 inches. This unit comes with ½ Horsepower, running on permanent magnet motor at 2600 RPM (rotation per minute). The garbage disposal also comes with power cord. 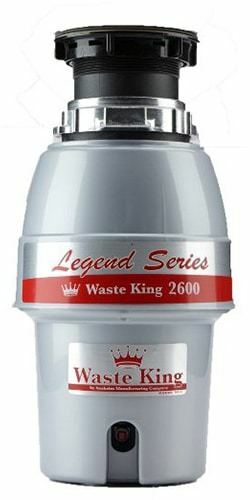 Waste King offers 5 Year In-Home service warranty and lifetime corrosion warranty. The installation is quite easy and the sound seal technology offers a quiet run. Badger 5 runs on ½ HP motor at 1725 RPM. 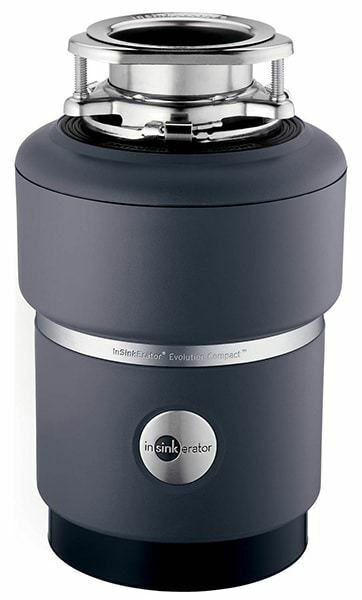 The dimensions are 7 x 7 x 13 inches and InSinkErator offers 2-year in-home warranty. It comes with 26 oz. grind chamber made of galvanized steel. 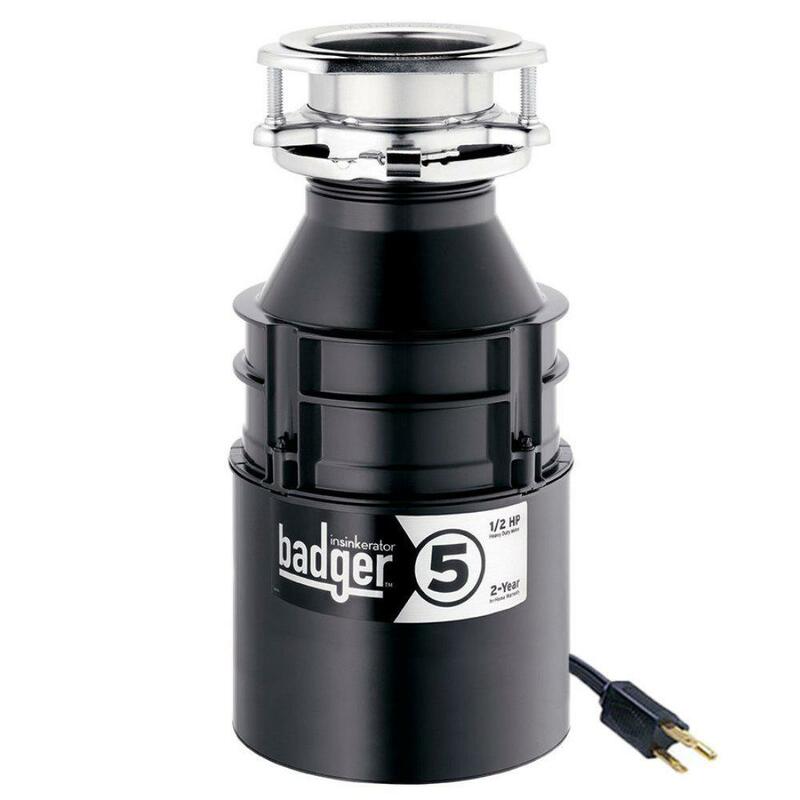 Badger 5 does not come with power cord, so that needs to be purchased separately. Average electrical usage is 3-4 KWh per year. 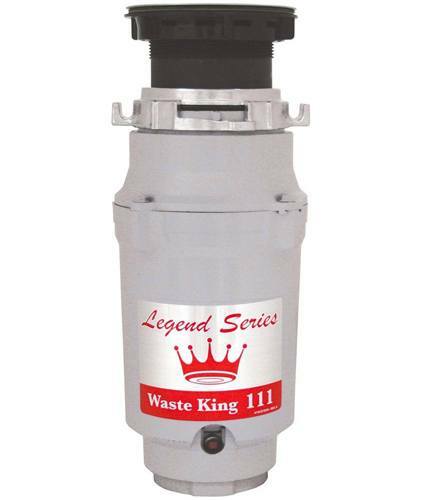 Another model from our list of 9 best cheapest garbage disposals is the Waste King brand is L-111. The unit is quite small and the dimensions are 6.4 x 6.4 x 13.4 inches and the weight is 8.7 Pounds. The unit comes with 1/3 HP motor, which runs at 1900 RPM. This particular model comes with 2-Year In-home warranty. The sink flange is made of stainless steel. The splash guard is removable and also, the disposal comes with power cord. 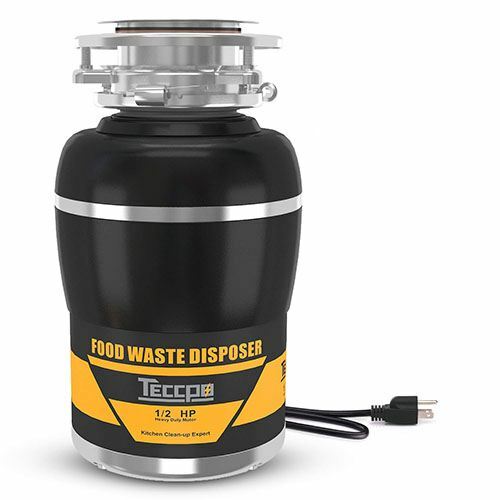 TECCPO ½ HP Garbage Disposal comes with ½ HP motor. The dimensions are 7.3 x 7.3 x 11.8 inches and the weight is 13.45 pounds. TECCPO brand offers 5-Year Satisfaction Warranty. Twist-and-Lock design that provides fast and easy installation. The sound insulation system offers a quiet run. Stainless Steel Grind Components protect against corrosion. This unit comes with power cord. 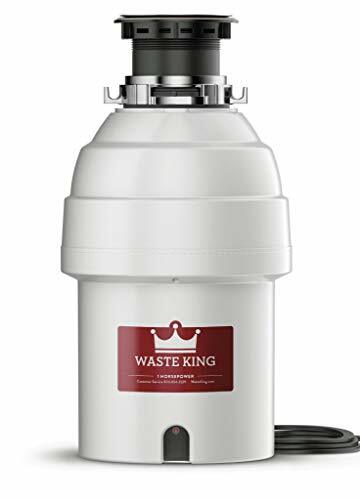 While Waste Maid brand might not be well known, their 58 Garbage Disposal is definitely worth participating in our list of 9 best and cheapest garbage disposals. 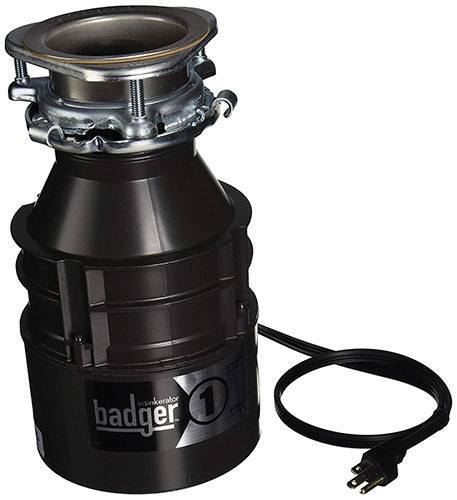 Waste Made ½ garbage disposal comes with ½ Horsepower that runs at 2600 RPM. The dimensions are 4.8 x 4.8 x 14 inches and the weight is 8.95 pounds. 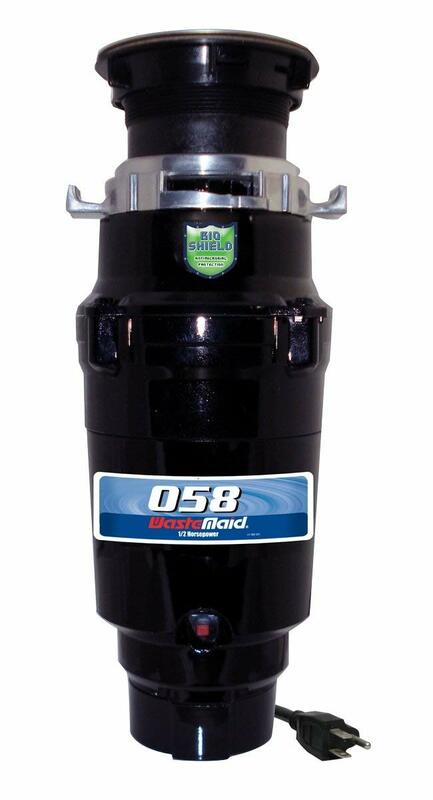 The disposal uses Bio-shield that serves as an anti-microbial and odor protection. Waste Maid offers 2-Year warranty. The grinding components are made of Galvanized steel. 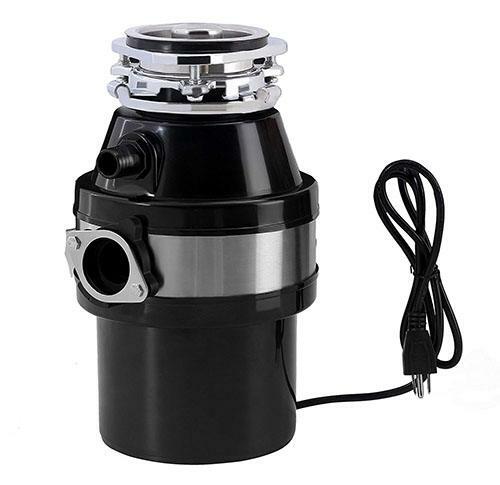 According to users, Waste Maid 58 is a very quiet garbage disposal with easy installation. This particular garbage disposer runs on 1 Horsepower motor running at 2600 RPM. The dimensions are 8.3″ diameter x 11.8″H with the weight of 12.25 lbs. This unit, unlike most on the market is made of iron and ABS engineering plastic. Installation is also quite easy. The common reported problem is that its run by air hose which keep fall out. According to users, it comes with a button that should be placed on the sink by the faucet and that attaches to a hose to pump air and while this turns it on and off, the hose won’t hold on and there is not enough room to clamp it there. 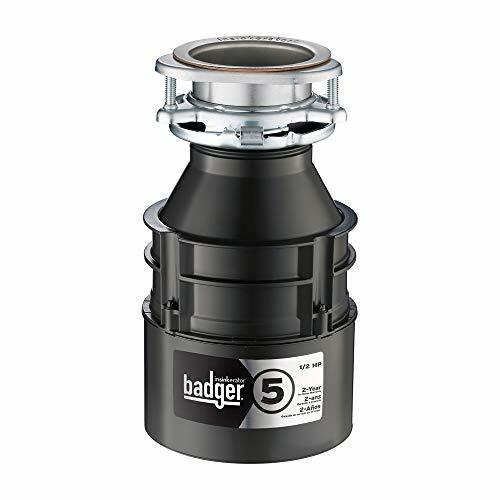 Badger 1 Garbage disposal uses 1/3 Horsepower and comes with a power cord. The RPM is not specified by the manufacturer. The Disposal’s dimensions are 8 x 8 x 14 inches and the weight is 13 pounds. The grinding components are made of stainless steel. The installation is very easy and doable by one person without any issues. According to users’ reviews, the noise level is great compared to other disposals within the same budget level. 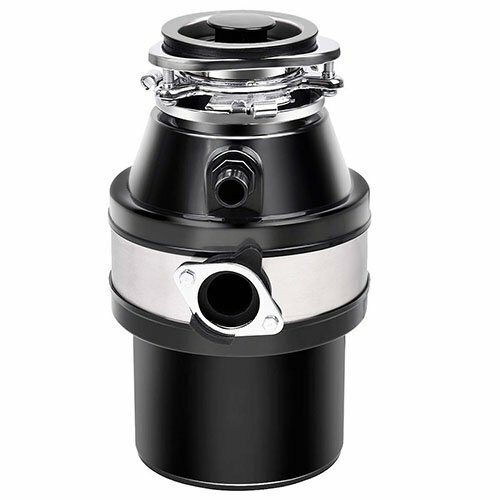 The Kuppet Garbage Disposal uses a powerful 1 HP motor that runs at 2600 RPM. Definitely worth adding to the list of best and yet, cheapest garbage disposals. The interior is made of Stainless Steel and the exterior is made of good quality ABS plastic. The manufacturer claims that the processor runs 5 minutes for each time, 3 times a day, its life cycle is more than 10 years. Splash guard can be removed easily and cleaned. The unit comes with power cord and plug. Fast and easy mount system provides a no-hassle installation. The sound insulation system could be better. 520V comes with a ½ HP motor that runs on 2800 RPM. The dimensions are 6.7 x 6.9 x 15.1 inches and the weight is 9 lbs. Grinding chamber is made of Stainless-steel jam-resistant, dual-Swivel Impellers. It comes with stainless steel sink flange. General Electric offers 1-year limited replacement plus 1-year additional limited parts. The unit uses EZ mount installation system and the installation is quite easy. According to users, the disposal is very quiet. 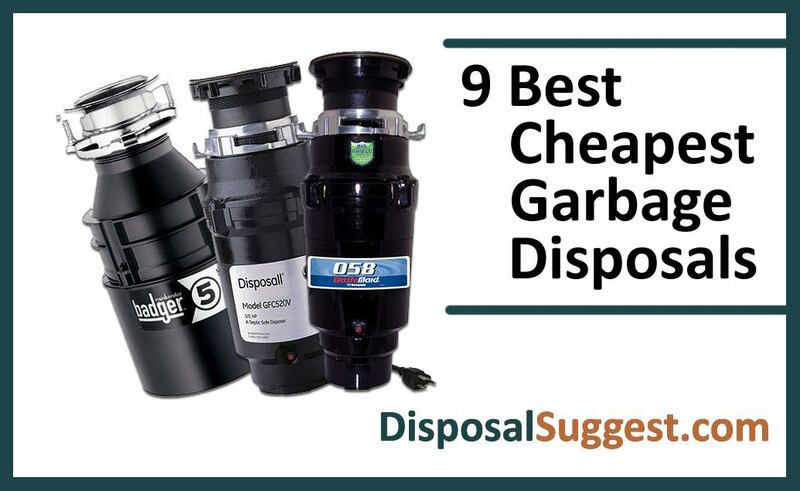 That concludes our list of 9 Best Cheapest Garbage Disposals on the Market. Hopefully, the comparison article has helped you to narrow down your research and you are now ready to purchase the unit that suits your needs the best.